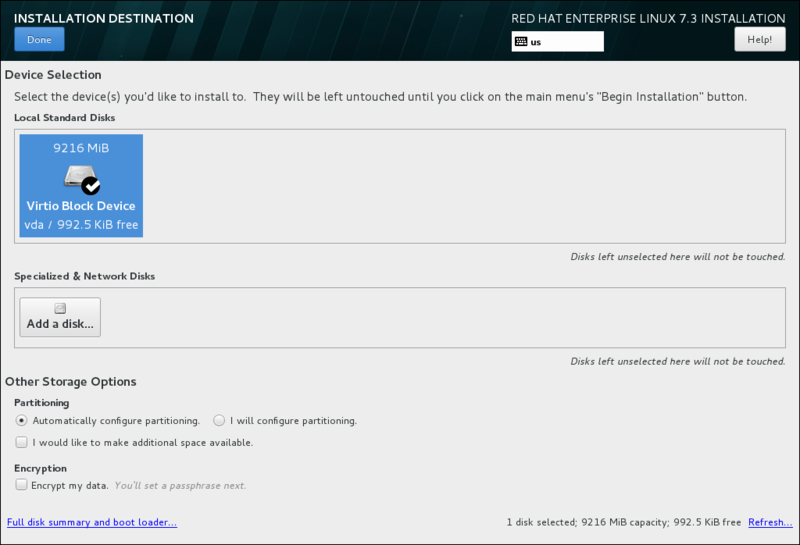 You can install Red Hat Enterprise Linux on a large variety of storage devices. 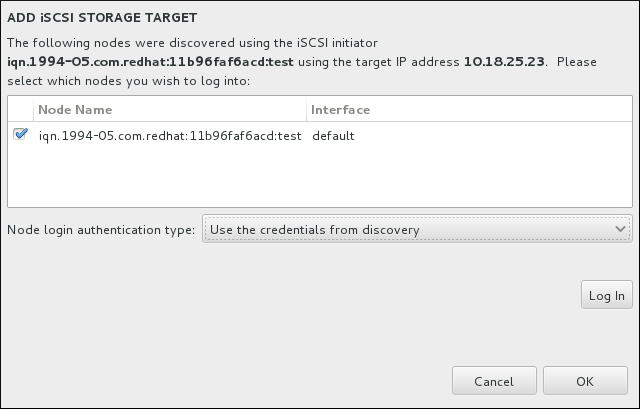 You can see basic, locally accessible, storage devices in the Installation Destination page, as described in Section 8.14, “Installation Destination”. To add a specialized storage device, click the Add a disk button in the Specialized & Network Disks section of the screen. Monitoring of LVM and software RAID devices by the dmeventd daemon is not performed during installation. Non-Volatile Dual In-line Memory Module (NVDIMM) storage devices on the machine. Refresh List - use to reload the list when a device is added after the installer starts. 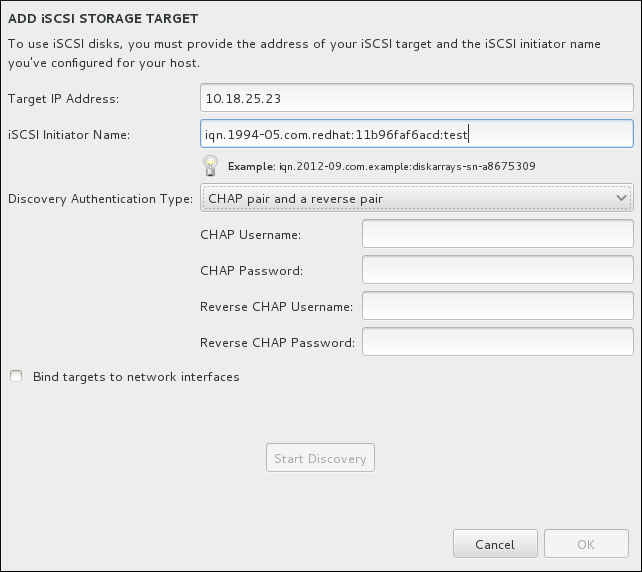 To use an advanced storage device, you can configure a SCSI over TCP/IP (iSCSI) target, Fibre Channel over Ethernet (FCoE) Storage Area Network (SAN), or Non-Volatile Dual In-line Memory Module (NVDIMM) device by clicking the appropriate button in the lower right corner of the Installation Destination screen. For an introduction to iSCSI, see Appendix B, iSCSI Disks. When you click the Reconfigure NVDIMM button, a dialog appears for you to reconfigure the selected NVDIMM devices into sector mode. The reconfiguration lets you use this NVDIMM device as an installation destination. Reconfiguration of a NVDIMM device process destroys any data stored on the device. Select the sector size and press the Start reconfiguration button. The supported sector sizes are 512 and 4096 bytes. Once the device is configured, press OK to return to the Installation Destination screen. NVDIMM devices in sector mode will be displayed under the NVDIMM Devices tab in the Installation Destination screen and can now be selected for installation.